The Solyx window film that we produce is flexible vinyl and high quality. We supply Solyx window film according to your needs. Before buying Solyx window film, we will measure the glass properly so that it covers the desired area. You can enjoy a beautiful and high performance window by using Solyx window film. Our Solyx window film can provide different benefits, such as ultra violet protection, glare reduction, heat reduction, energy savings, and safety against vandals. Solyx window film protects the glass from high winds and storms. When Solyx window film is applied to the glass surface, it provides significant solar insulation. Solyx window film enhances the safety and imparts privacy to commercial areas. Translucent window film will keep you cool, comfortable, and well-protected by maintaining ambient light and the view you love. 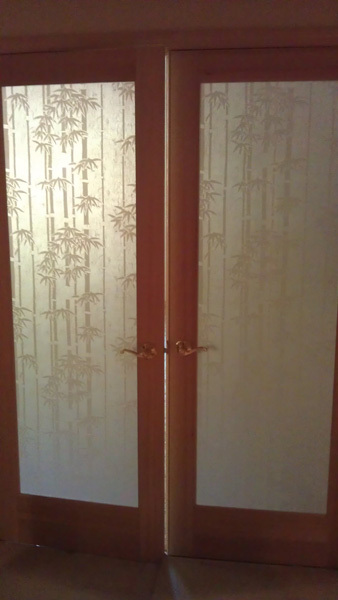 Translucent window film that is designed for privacy obscures the visibility through the glass. Darkening the room depends on the color of the translucent window film. It is better to use darker translucent window film to ensure privacy day or night. The design of the translucent window film may appear different in different lighting conditions. You can also decorate your home with the translucent window film. You can use the translucent window film in various places of your home, including the front door, kitchen, bathroom, and the exterior of your home. Translucent window film not only adds visual appeal to the room but also creates privacy while allowing natural light into the room. Solyx films are inexpensive and can decorate your home or commercial area without renovation. On hot summer days, Solyx films will give shade to your home from the sun. We provide various designs of Solyx films that can create a better ambiance for your home or corporate buildings. Solyx films provide protection and aesthetic benefits. The use of Solyx films can offer a solution to various problems, including safety and security, personal health, and sun damage. Due to technological advances, Solyx films can meet all your needs and requirements. You can take advantage of using Solyx films anywhere in the greater Seattle area by calling ABC Sun Control, Inc.